Includes State Specific Last Will, Living Will and Power of Attorney for you and your Spouse PLUS (1) Credit Report Form, (2) Financial Statement, (3) Personal Life Planning Form, (4) Estate Planning Worksheet and (5) Monthly Cash Flow Statement. Provide the information below and receive your Living Trust Package for only $69.95. This package will include the Living Trust Agreement, Amendment to Trust, Assignment to Trust, Notice of Assignment to Trust, Property Record and Pour Over Will. 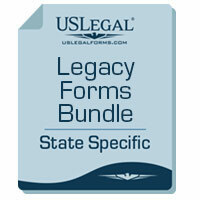 FREE FORMS: Order today and receive the Legal Life Estate Planning Guide Free! A $14.95 value. THIS PRODUCT INCLUDED DOCUMENT REVIEW OF YOUR COMPLETED FORMS BY A LEGAL PROFESSIONAL. 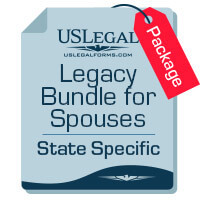 Includes State Specific Last Will PLUS (1) Living Will, (2) Power of Attorney, (3) Credit Report Form, (4) Financial Statement, (5) Personal Life Planning Form, (6) Estate Planning Worksheet and (7) Monthly Cash Flow Statement. Order a Small Estate Package for your State. All packages include forms, laws and instructions. Please see detail description below for more information. 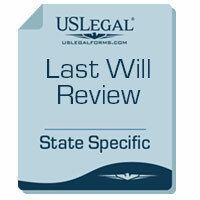 Use this to order review of your Last Will that you prepared. This service is offered for those that did not choose document review when they ordered their Will but now want their completed Will reviewed. 2. Complete the questions below and receive either the online or hardcopy questionnaire to complete at your leisure. 1. Who you want to appoint as Personal Representative of your Estate to Probate your Will. Same as Executor or Executrix. This can be your spouse, person over 18 or an institution such as a bank. 2. If you have minor children who will be the Trustee and Guardian in the event both Husband and Wife die at the same time, or you are the sole surviving parent. This can be a person over 18 years of age or older. 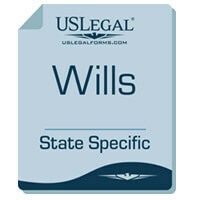 Whether you need hard copies of the package or a Will only, use this option. Last Will: You will receive a Will for your State and your specific needs. Completed Documents: Under both options your forms will be completed for you based on your instructions and delivered to you by regular mail for signatures.